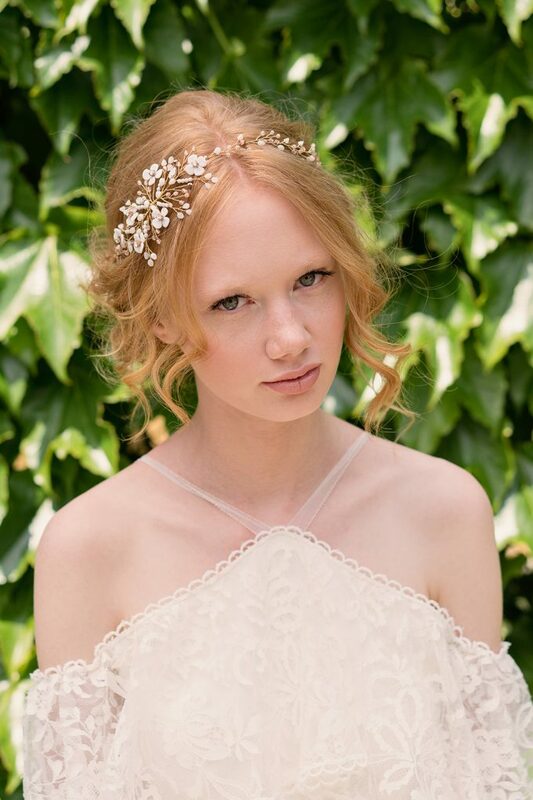 Romantic twine inspired by the beauty of small delicate rosebuds adorned with sparkling crystals in the middle. 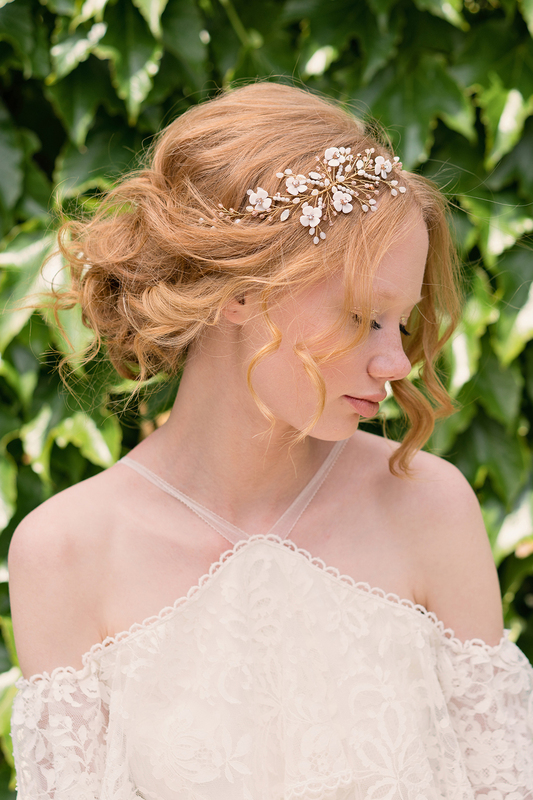 This bohemian headpiece was crafted from glass beads and Swarovski elements and it easily became one of the best sellers of our atelier. It comes with silken ribbons or hairpins for a perfect fastening .